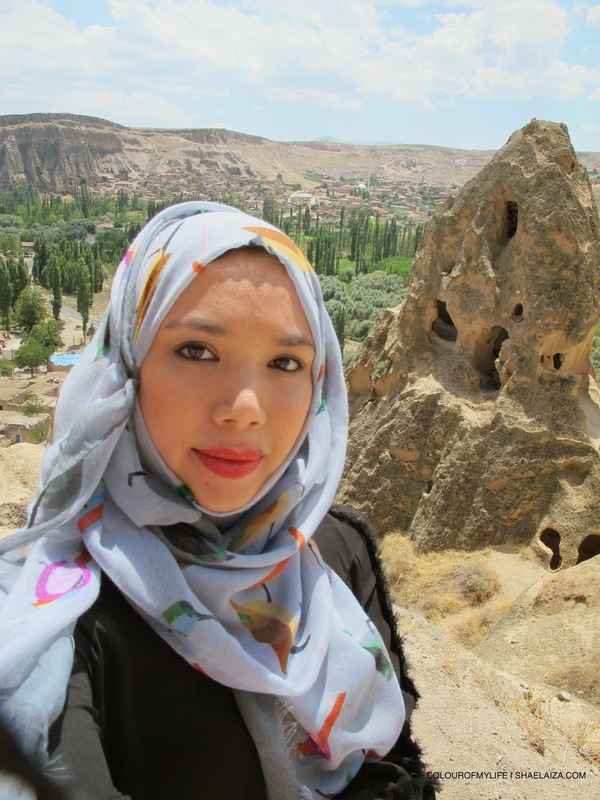 Travelling to a place like Cappadocia was one of the most uplifting experiences of my life. I may be in my twenties but I am an 'old soul' and the older I get the more obvious it is or the more intense it feels. Now, it could be due to the fact that I may have a case of the golden age fallacy (something I recently became aware of thanks to a movie called 'Midnight in Paris') I can't help but be in awe of iconic places, achievements or events in the past and admire figures like Rabiatul Adawiyyah, Jalaludin Rumi, Ibn Arabi, Socrates and the like. If you're an old soul like me it's likely that you'll love being immersed in a place that delights in pure nostalgia and history and not to mention, spirituality. After our hotel check-in and a bit of sightseeing at the Göreme Open Air Museum we attended a whirling dervishes ceremony at the Sarıhan Kervansarayı which was built in 1249. I paid close attention to every step because it was my first time witnessing such a ceremony in person. We weren't allowed to take photos of the prayer session but I can tell you that verses of the Qur'an were recited melodiously before the actual whirling took place. The acoustics were amazing. 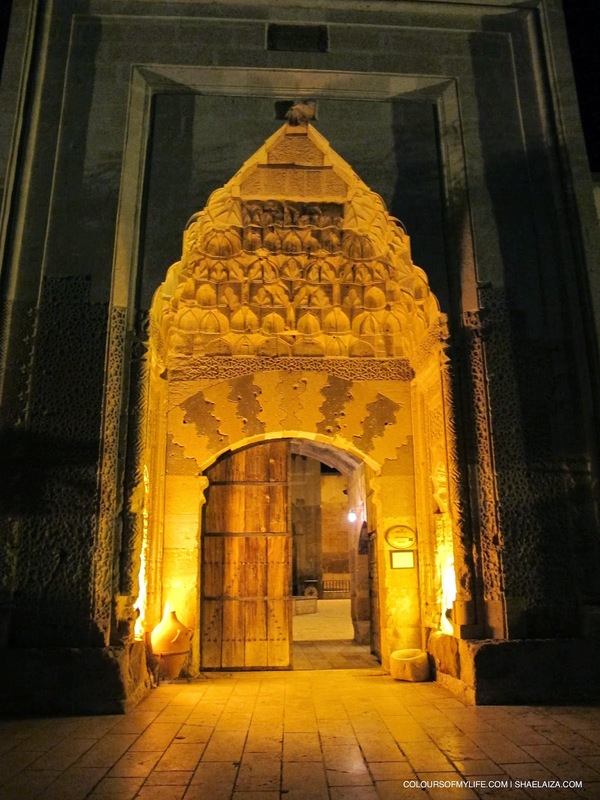 I could hear the sound of Turkish classical instruments such as the ney (reed flute) and the more familiar daf (frame drum) very clearly in the high-ceilinged caravanserai. 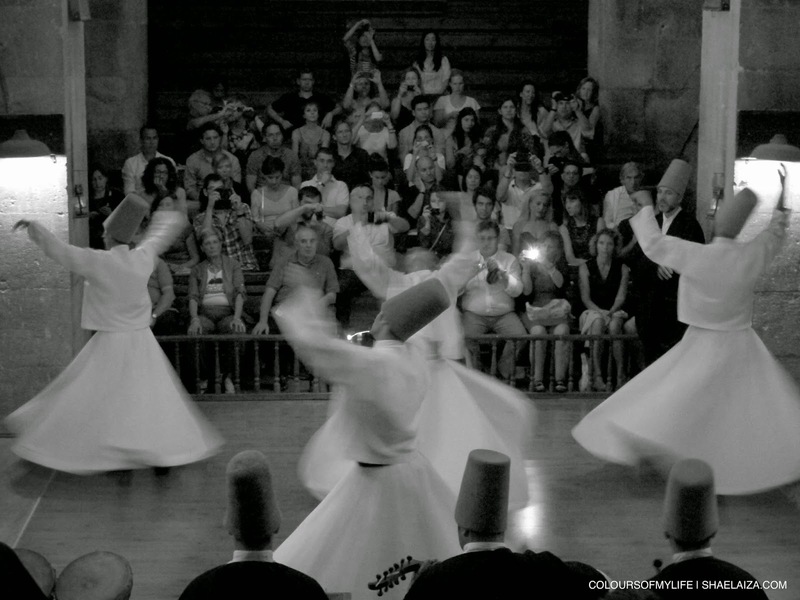 Dancing and whirling is not practiced by all Sufis but it is a peaceful way of expressing one's love for God which is quintessential Sufism. 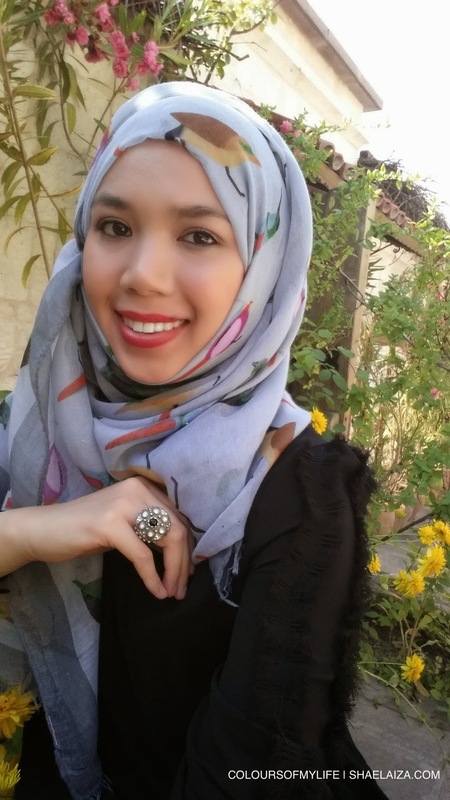 It was a new experience for me and I'm always open to learning about the different ways people practice their faith. Excited about the 'Green Tour'! 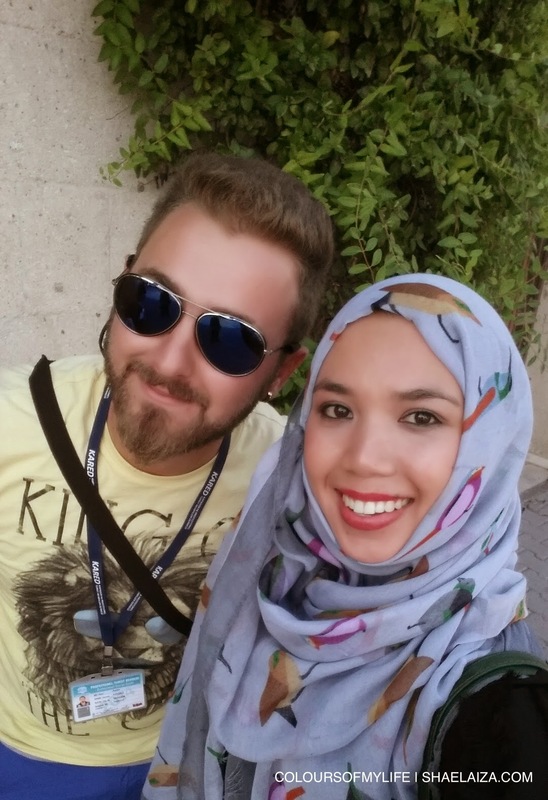 Since we couldn't go on the hot air balloon ride (find out why in my previous post) we took Numan's advice and went on the 'Green Tour' with Woop Woop Travel the next day. 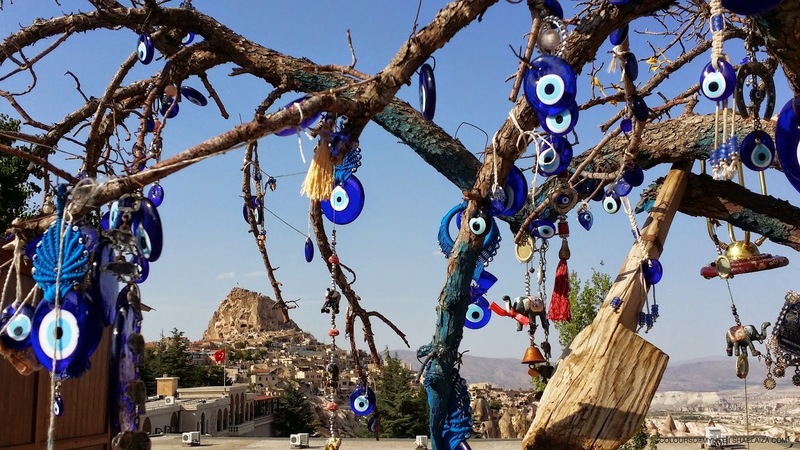 It's a one-day tour consisting of several must-see tourist attractions: the Derinkuyu Underground Village, Selime Monastery, Ihlara Valley, Pigeon Valley and an onyx factory. I highly recommend Woop Woop Travel. My experience with them was good and our tour guide Aiden was very knowledgeable, professional and experienced too. 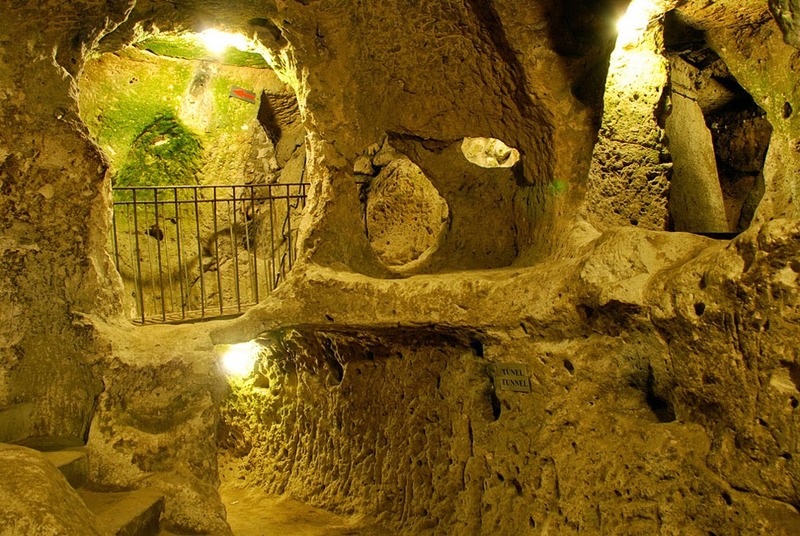 The Derinkuyu Underground Village is one of many underground cities that were estimated to have been established between the 7th - 10th Century when early Christian communities were seeking protection from the persecution of sun-worshippers from the Roman Empire. (Some claim the underground city was also used as a refuge from Muslim Umayyad and Abbasid dynasties rulers but this is the first I have heard of it and it's something I will look into for clarification.) What's an underground village like? Well, to my surprise it's just like a normal city but underground and no natural lighting. Truly fascinating! Next, we visited the Selime Monastery which is situated on a hill at the end of Ihlara Valley and said to be built in the 13th Century. It looked like an easy climb but it wasn't, especially with the heat. Having said that, there's nothing more satisfying than reaching the top! Behind me is a study room that is part of the very unique monastery. Standing in front of the monastery's kitchen. 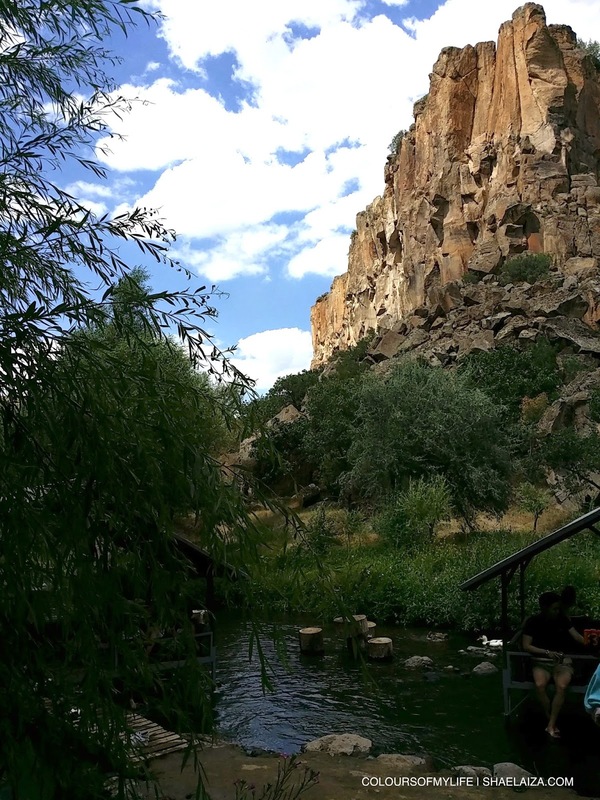 After the monastery, we went on a 4 kilometer hike along a river at Ihlara Valley and I thoroughly enjoyed being surrounded by natural beauty. I'll let the pictures speak for themselves. Do you see the arches? 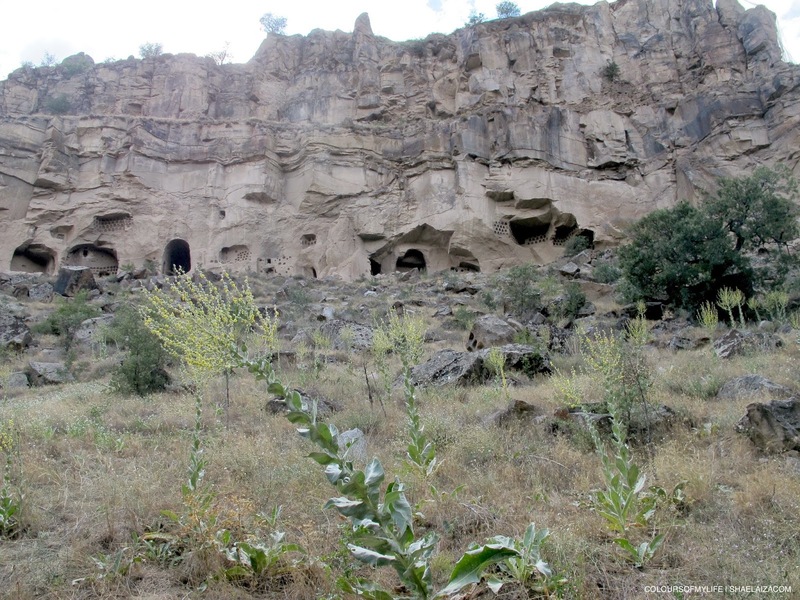 They are entrances to the cave churches in the valley. 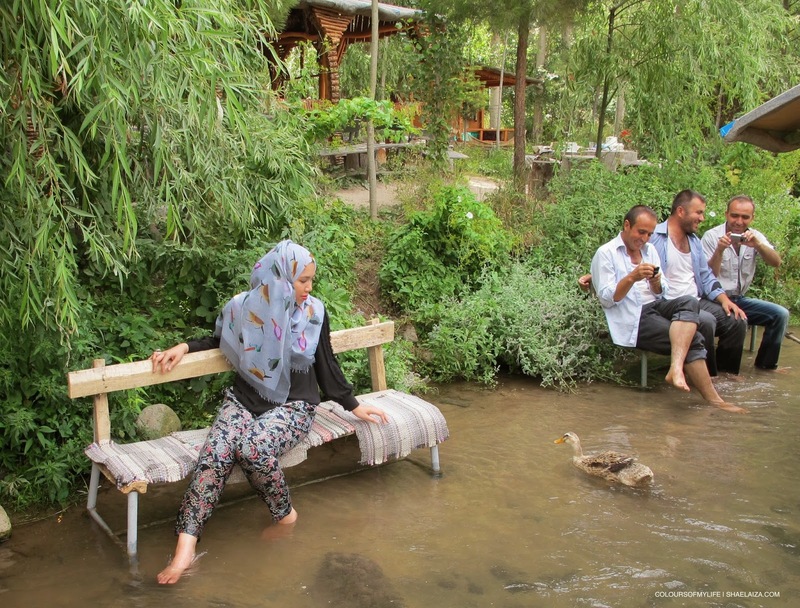 Enjoying the refreshing water at a river by a village cafe. 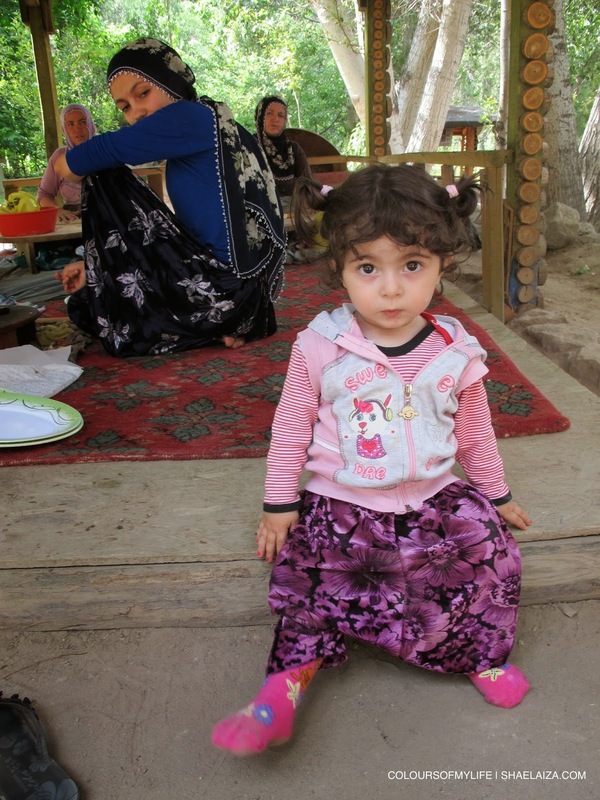 I just had to take a picture of this little Turkish girl who was playing while her family was making bread. Check out her cute harem pants. Our second last stop during the tour was a lookout point overseeing Pigeon Valley and what a sight it was! I'm pretty sure everyone in the tour group was tired by the end of the day but this view was worth the wait. Ayden, originally from Syria, studied for 4 years at a university to become a certified tourist guide. All in all, it was a great tour and Woop Woop Travel fared well after our experience with She Tours in Istanbul. 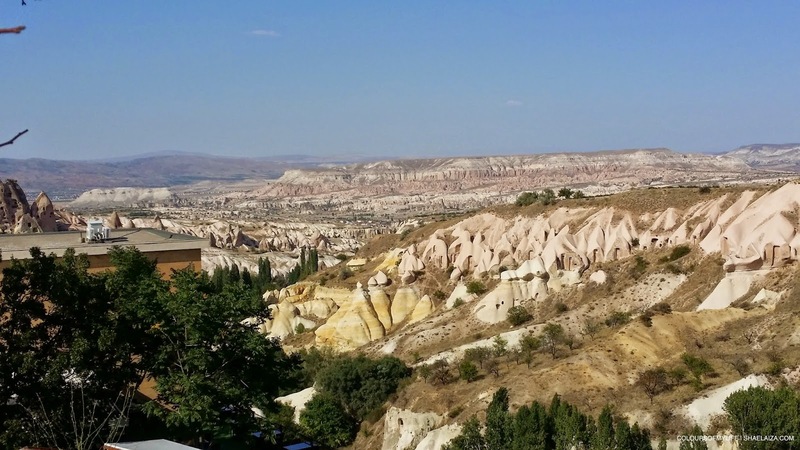 Then again, I'm not much of a complainer and I was happy enough to be in a place as spectacular as Cappadocia. I wish we had stayed longer because there is surely more to explore. I left Cappadocia for Istanbul the next evening with a heavy heart but I do hope I get to visit it again sometime soon, inshaaAllah.